family | STRAIGHT FROM THE TOP! Straight from the Top re-blogging Did Jesus have a Facebook page? New post on Did Jesus have a Facebook Page? Reading that statement from God Calling recently, changed my life. It was as if God was confirming to me his peace was my ally. Think long and hard about those words. Calm is a huge weapon against the enemy. I won’t sugar coat aging is no fun, but with it comes experience and knowledge. As God has brought me through more deep waters and the fiery furnaces more than I can count, I see dry land and the furnaces are cooling down. The enemy uses repeat performances. He can’t create anything new. In that we should grasp his attacks realizing the threats are just that; threats. How we respond is the key. Recognize his evil patterns but more than that he is defeated. Is it possible what the enemy threatens in our personal lives he does the same globally? Of course. He has no other availability. Words are powerful; in fact so much so God created the world with them. Being the case, the enemy fills our minds with his lies and deceits hoping to compound them so many times we begin to believe what he says. There-in lies a case for mental breakdowns, fear, doubt and worry. We must counter with God’s word. Believe me I know this works because it is the only way I am still here. “What would I do if I gave up?” Well, that question ended giving up. God confirmed a revelation to me this morning using my own life’s attacks with the world’s in our present condition which is about as bad as it gets. Sodom and Gomorrah are like a piece of cake compared to modern day society. Praying seriously for years over the world especially America, I have waited for answers. If you watch the news or happen across it on the internet you will be hard pressed to find anything good. Not that America is good right now; in fact we are in deep trouble. My heart has ached at the deterioration of this nation. It is so different than when I grew up. I have watched for decades our moral society diminish. We have no one else to blame but ourselves; we all sin. As many such as Franklin Graham, Anne Graham Lotz and Rabbi Jonathan Cahn express deep concern for our country’s impending judgement, and rightly so, I believe God’s righteousness is about to shine. Don’t get me wrong. It looks bad. It is bad. It is evil at its worst and should be recognized as such. But God’s righteous grace is so much more than all of that. He revealed to me as he has stretched me beyond my own fleshly limits to the point of crying out even in silence because I was too weak to speak, so he is doing with America and the world. The phrase, “God is never late, but rarely early” fits. 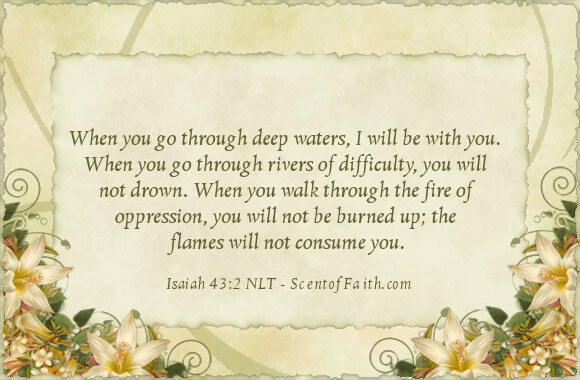 His word says he will walk through the deep waters and the fiery furnace with us, but we won’t drown or burn. We may be gasping for air and feel the heat, but all of a sudden dry land appears and someone shuts off the furnace. He let me know that is where we are at. I believe we are seriously close to the wrath and judgement of God in such a momentous way that we must continue to pray diligently for repentance. But he has heard our prayers and at the moment when it appears it can’t get any worse, God is going to show up and show off. The world will know it is God foiling the plots of the enemy. The world especially America will wake up from this dreadful nightmare and fall on our knees in worship and praise to Him. The world will be swept by the Holy wind of the Spirit of God changing hearts across the globe in an instant. We must look past the natural into the supernatural sphere of God to see what he is doing and where he is taking us. RIGHT NOW IT IS MORE IMPORTANT THAN EVER TO SEEK GOD’S PRESENCE, BE ON OUR KNEES REPENTING, THANKING HIM FOR PRESERVING, PROTECTING AND GUARDING US FROM IMMINENT DESTRUCTION. And then wait to embrace the glory of God as has never been upon the earth. Unsubscribe to no longer receive posts from Did Jesus have a Facebook Page?. Being Human we tend to spend a great deal more time worrying about how are we going to do this or that, Or, ‘How in the world will we ever afford to pay that bill’? A number of years ago I settled my mind on the Power of God, and that HE will provide for my every need. Not only my material needs and wants, but the wants, needs as well as the safety of others, if we only ask. If we spent as much time praying and praising God as we do worrying–things would work out much better! PS: Stay tuned, Billy Ray Spencer and Sunday school is still coming. It’s taking a LOT more research than I anticipated. Every Man and Woman has a purpose in life. For every man God has a plan; no mans life is purposeless. God sends everyman into the world to do some definite thing. Remember: He became what we are–to make us what He is. TRAILS, TRIBULATIONS, AND . . . . . . . . . . . . . PATIENCE ? TRIALS, TRIBULATIONS, AND . . . . PATIENCE? Somewhere about the beginning of the New Year I was corresponding with Cathy Neil aka ‘Naphtali’ who writes the Spirit driven blog: ‘Did Jesus have a Facebook Page’? Cathy then replied that she was tired of paying repairs bills and just bought a new PC. I countered and upped that by buying an iMac OS-X for slightly under TWO GRAND! It was pretty nice having all the working things inside a 31 inch monitor that was only one half inch thick, which allowed for a lot more desk top space to put Bibles, books and of course coffee cups. Trouble was; it didn’t act like a PC and it was difficult so, I sent it back. Back and forth we went. Each commensurating with the other but Cathy was continually assuring me that over and over in the New Testament we are told that if we serve God we will have trials and tribulations. Those are the verses that I like to skip over. Then, right before Christmas Eve, I had to have major maxillofacial surgery. With that title it HAD to be expensive, right? It turned out that a rear tooth had to have its roots jackhammered out, a piece of bone cored out from another location and grafted into the hole, then a steel screw put where the core was cut. Yeah, it WAS expensive! In the meantime a Buddhist family I was trying to convert (Along with a little help from God.) called and told me not to come back. Well, THAT hurt more than the Maxi-what-ever! Obliviously the answer is that God the Father wants to know if we are truly His—or—how far are we willing to go in our quest to bring the gospel not into only our own neighborhood, but into all the world. Also, are we willing to uplift our brethren with words of comfort and encouragement? In First Corinthians 12:4-11, Paul names the nine gifts of the Spirit. Later in the same chapter (Vs. 28) he names the 7 offices held in the Church by faithful believers. You fit in there somewhere! No one is left to be a ‘placeholder’; simply holding down a slot on the pew Sunday after Sunday. YOU have a ‘gift’ or an ‘office’, or ‘both’, or ‘several, of each’. It is your bound duty to find it and fulfill it. Will you be persecuted? You can bet your boots you will! It comes with the territory! It follows; whether you accept your ‘gift’ or ‘office’ or not, if you are a Christian you will surely have trials and temptations. And the not-so- funny part about these tests and trials is when undergoing one , or several, after you have overcome that particular test—THIS is not the end of the test! Oh no. For after overcoming that particle one, you STEP UP to the next level which is even more extreme. WHERE DO THESES TESTS COME FROM? Well now, that is another story. How about I meet you here in a day or two and let’s discuss that. You should know by now that I can’t say it all in three sentences like Don Merritt does. OUR WALLS ARE CRUMBLING ! Pearlene and I attended the First Presbyterian Church in Graham, Texas today. The ‘Congregational Prayer of Confession’ was this: “Sovereign God, we confess that we are not ready for your Holy realm. We waste our days with idle pursuits, instead of choosing to serve you. We spend our nights in foolishness, instead of watching for your return. Forgive us, merciful God, so that we may return to your fold and rejoice in your presence: through Jesus Christ our Lord, the Lamb upon the throne”. Truer words were never prayed. I hope they lodged within the hearts of many. We live across the street from a large city park filled with all maner of playground equipment. Both singularly or together, Dad’s and Mom’s bring their toddlers out and unload them from their carriers. The parent or parents then sit down on the park benches and become lost in worship of thier appliances. Toddlers are left to wonder around at their will, often wondering off into the street. Before long these toddlers will be adults and the parents will wonder why they never have any time for them. We may wonder the same thing some day if we don’t have time to spend with Almighty God in the presence of His son, Jesus Christ. Spend a little time today with the Lord. You will not regret it. P.S. Jesus died for you and will forgive you of your sins.